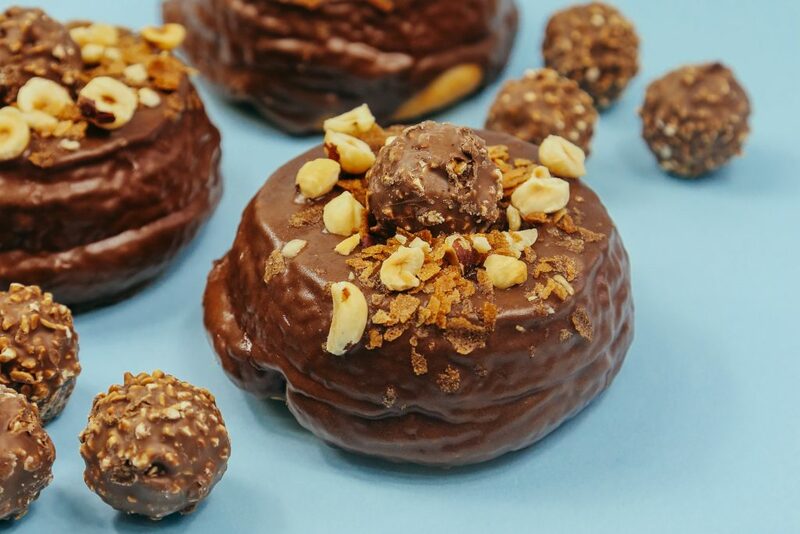 Where did cult Aussie doughnut purveyors, Doughnut Time choose to open their first overseas store? 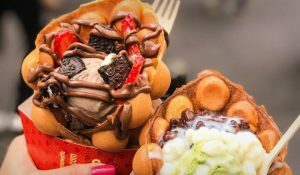 Why Chinatown London of course! 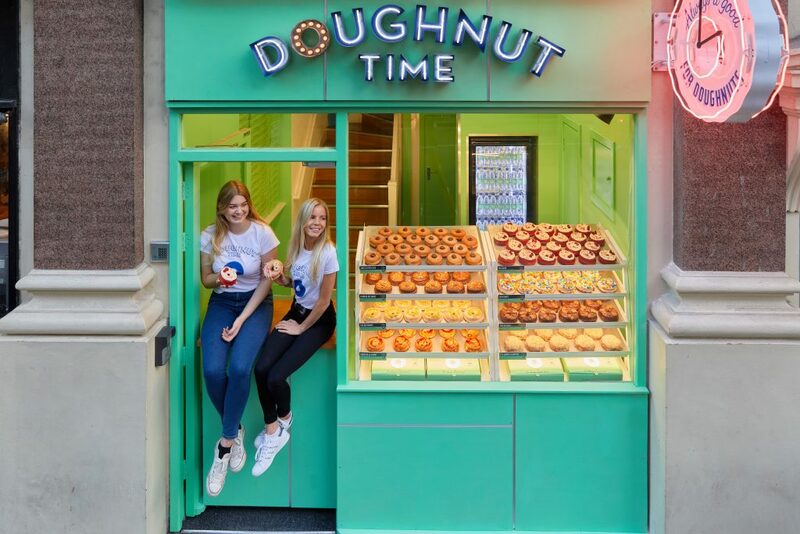 Responsible for crazy-delicious doughnuts with super-imaginative toppings, Doughnut Time is a must-visit for a sugary-sweet hit. You can’t miss the turquoise-coloured emporium on Shaftesbury Avenue. 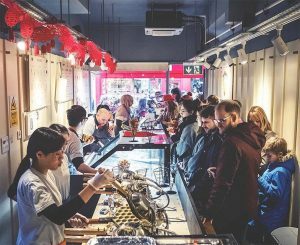 Pop inside and peruse row-upon-row of their colourful creations, sprinkled will all manner of toppings and loaded with oozy-gooey fillings that burst as you bite. 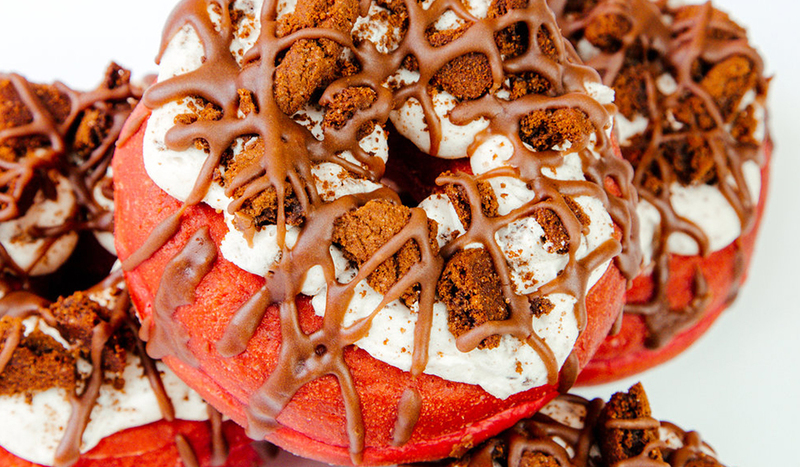 There’s Love at First Bite; their signature Nutella-stuffed doughnut, dusted with cinnamon sugar and Sia Later, a ring of bright red velvet, laden with creamy buttercream frosting. 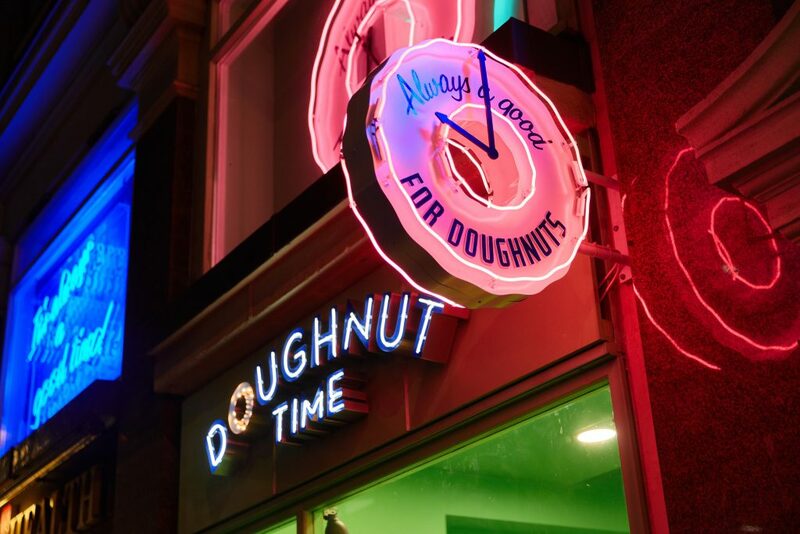 Doughnut Time’s menu changes weekly, so be sure to swing by to see what’s new. One thing that’ll never change is their The O.G. – their original glazed doughnut. From conventional classics to quirky combinations, there’s a doughnut for every palette at Doughnut Time. 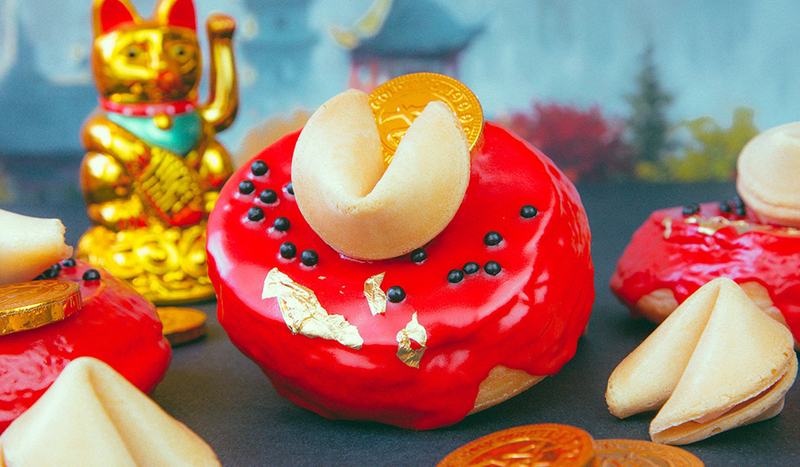 Visit around Chinese New Year and you’ll even discover Asian-inspired creations! Each doughnut is made from locally sourced ingredients and handcrafted freshly every day, too. What began as a humble hole-in-the-wall joint in Brisbane has taken the world by storm, one ring at a time. 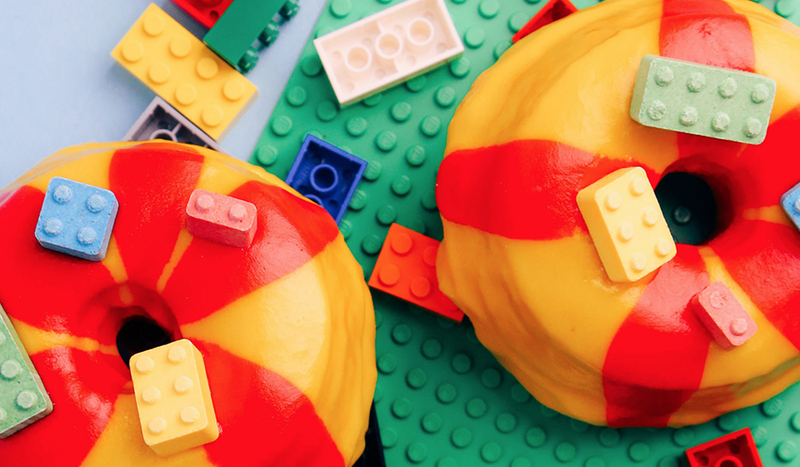 Napkins at the ready…it’s Doughnut Time!